3 months in as a stay at home Mom and I absolutely love it, but am also having a hard time with it. Before I begin, PLEASE know I am not complaining, I love every moment of being a SAHM, I am just trying to figure out the balance in my head. I have found that the Mommies in the Mommy groups I belong to on Facebook, are becoming my friends (even though we live all across the US. I can write about anything and they are always supportive and know exactly what to say…even if it is at 4am after my 3rd time waking up. My vegetables out on the patio are really growing. It is cool to be able to make a salad with my own Kale and Tomatoes. When Adam gets home, I go to the gym for an hour. But when all is said and done, I still don’t feel like I am doing enough. I feel like I have to justify even to myself every little thing that I am doing so in the end, my list is long and I feel worthy of staying home. I have a daily chore chart that I made myself..it sounds ridiculous when I type that, but alas it is true. Monday I do the clothes laundry and organize the closets, Tuesday I clean the bathrooms and the floors, Wednesday I wash the sheets and towels and clean out the fridge/ kitchen cabinets, Thursday I make the grocery list and dust and Friday I do whatever is left. Every 4th day I clean the cloth diapers. Daily, I do the dishes, straighten up, take care of Gavin, water the plants and do my 30 minute in home workout when he is napping. Here’s my problem, when I make that list, to me, it seems like not enough. I take the car 2 days a week to run errands, meet my Mom for coffee, go to a Mommy group meeting or just go roam around Target. I’ve been sewing a little. I’m trying to blog everyday…our readers kind of disappeared when we moved back to Florida. We go to the swimming pool to dip our feet in. And, once again, this list, doesn’t seem like enough. 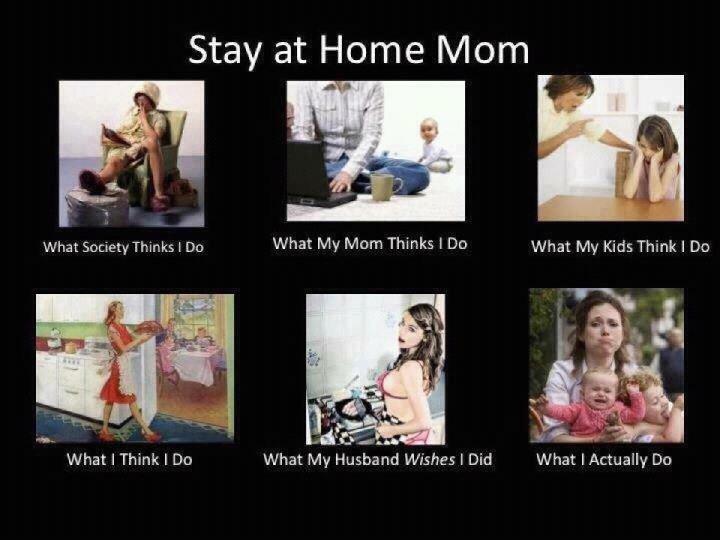 Are you a SAHM? What does your day look like? How do you convince yourself that you are doing enough to provide? 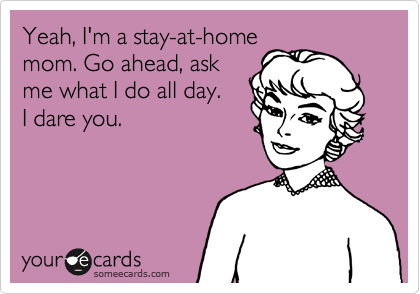 Congratulations for being an SAHM! It’s a real tough job even though not many seems to think so! My everyday seems to move on a spinning top that I’d be lucky if I can find 10 minutes to myself to read, shower, check my emails or even just sit and stare at the wall. It was hard for me the first few weeks when I became an SAHM almost four years ago but I get the hang of it and manage to do well. 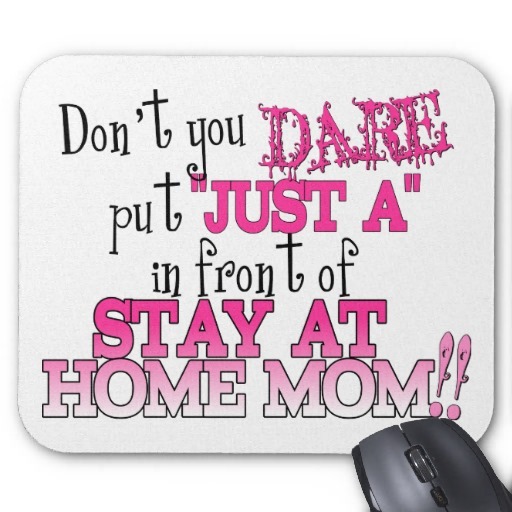 Right now I’m helping so many new mothers and SAHMs alike to cope with the stress and demand of SAHM. I’m glad being an SAHM allows me to give something back to other mothers. It is the toughest and perhaps least glamorous job in the world but I wouldn’t trade it for anything else! Here are some of my articles on SAHM to give you a boost! Girl, I miss going to work and coming back home. I don’t miss the actual work but leaving the house with a purpose and coming back to it with anticipation … totally miss that!